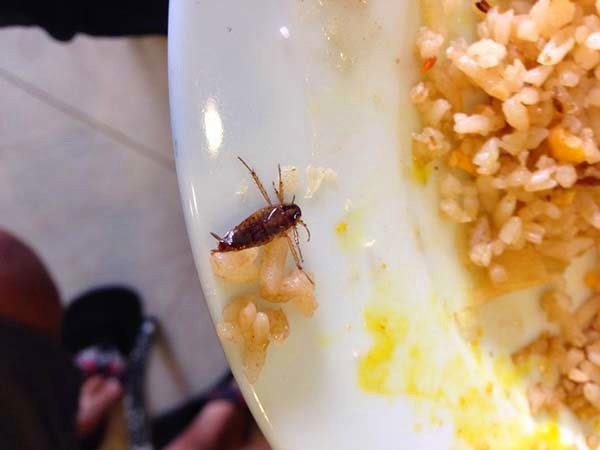 A customer was eating lunch with passion and all when he suddenly found a cockroach in the food served by a famous restaurant in Davao City. 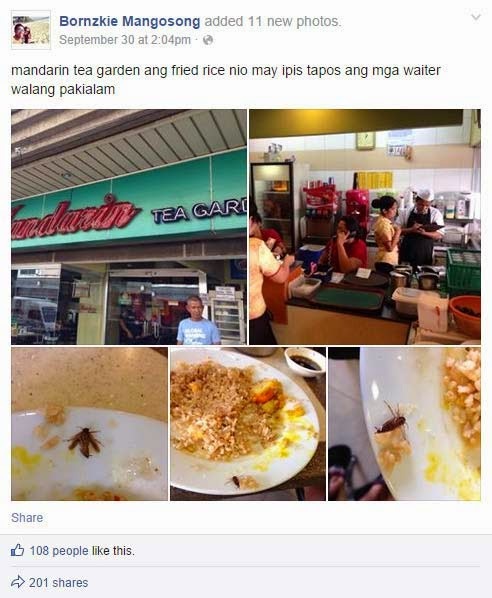 Facebook user Bornzkie Mangosong uploaded several pictures that show the dead insect in a plate with fried rice. He said the incident took place during lunchtime last Tuesday, September 30, at the Illustre branch of Mandarin Tea Garden, a restaurant that serves dim sum and Asian-inspired food. He said the establishment's staff allegedly did not care about his awful discovery. Mangosong sought advise from his FB friends as to which government agency he could lodge a formal complaint at. It was not known whether or not he was able to materialize his plan. Mandarin Tea Garden-Illustre and the City Health Office must investigate. If the allegation is true then someone should be held responsible for what happened.